I am at Antigua Sailing Week. Yesterday, was our first race. The tone was clear – as we set off, the skipper of the SV Spirit of Juno said that we wanted to focus on the race. People were not to chat about the scenery. So I was confused when – hours into the race – members of our crew were lying prostrate on the decks. 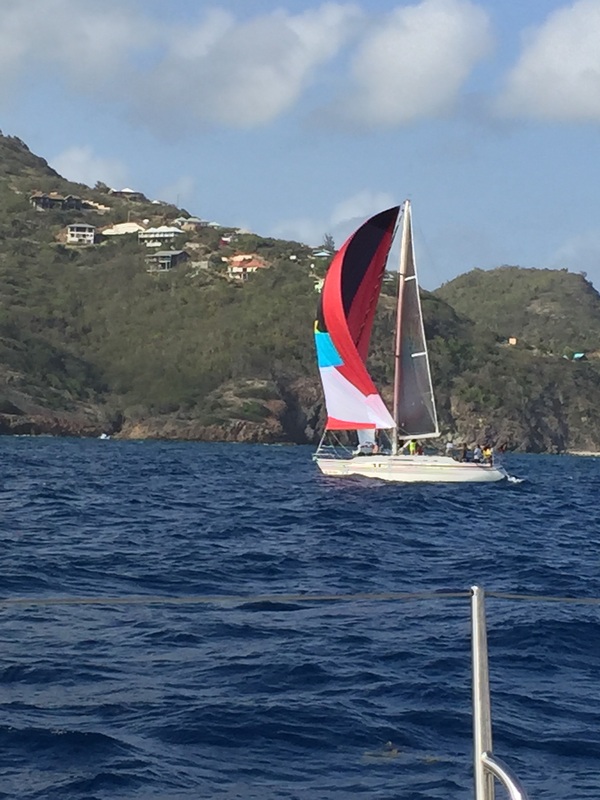 Racing around an Antigua – the entire island – seemed like a game of hurry up and wait. 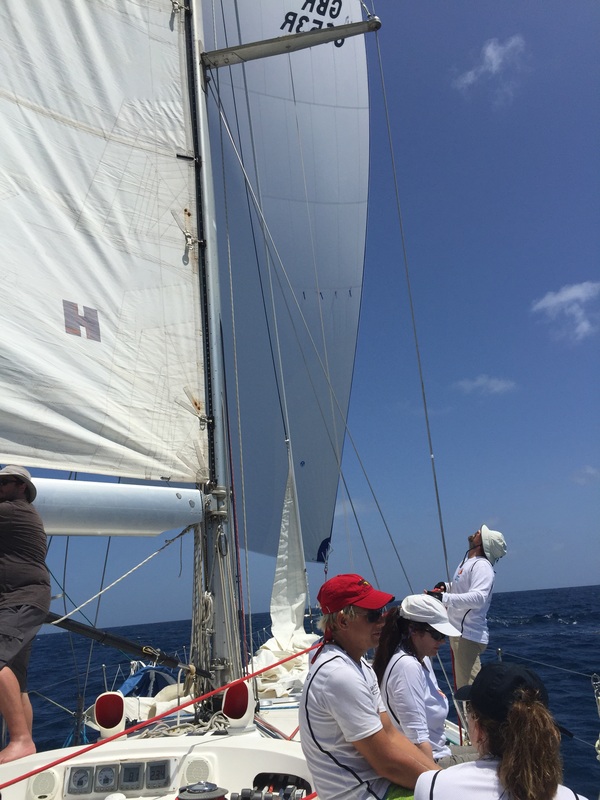 As one on our boat put it when he said that “Sailing was about 99 percent boredom, and 1 percent sheer terror.” Someone else likened the race to a marathon – it doesn’t make sense to sprint – in this longer, distance situation. About an hour and a half into the race we put up the spinnaker. It snapped to life with a thunderous spank. Much like a kite the spinnaker requires constant management. One person eases a sheet to fly the kite and another person uses an upright grinder to tighten it. The spinnaker sails here are spectacular. From a distance they seem to float mid-air, unsuspended. But our race came to an unexpected and short end when we lost our main sail (again) because it developed another rip. Then, we motored back and lost our engine. This happened just as we were about to enter the marina. I won’t soon forget the panic at putting up the jib to sail in. Fortunately, the engine was repaired just in time. We now have a new main sail and have to install it this morning. Today we are racing around some markers. So the racing will be faster and in closer quarters.